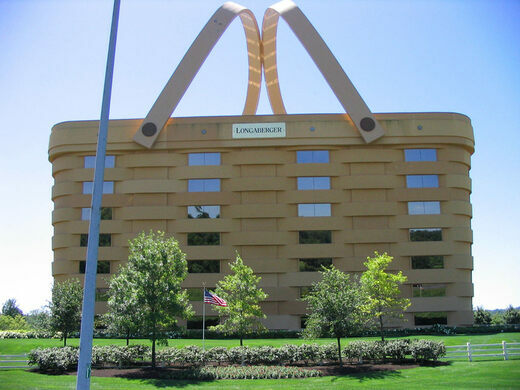 An office built to look like a giant basket. Though the massive basket looks like a misplaced piece from a giant’s picnic, you won’t find any oversized sandwiches or sweets tucked safely inside. 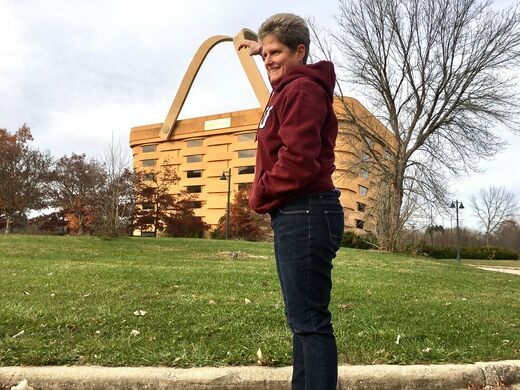 The strange structure is actually a seven-story building that can hold up to 500 people. Landmark dedicated to the plight of the American Indian, offensive in the 21st century. An abandoned hospital incorporated into a college campus. 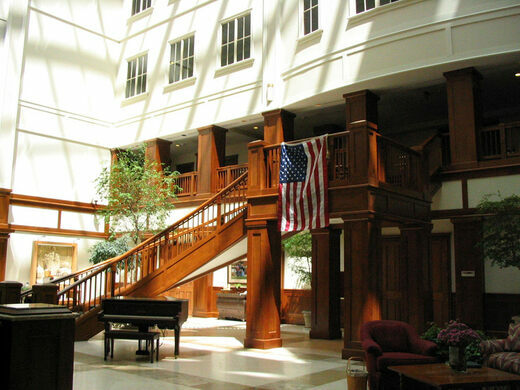 Starting with a small shop in 1976 in nearby Dresden, Ohio, Dave Longaberger began manufacturing market baskets based on the ones his father had made in a local factory during the Great Depression. Appreciation for the quality of the baskets fueled the demand and growth of the business enough he decided to build a home office for the company in 1995. Construction on the home office was completed two years later in 1997. 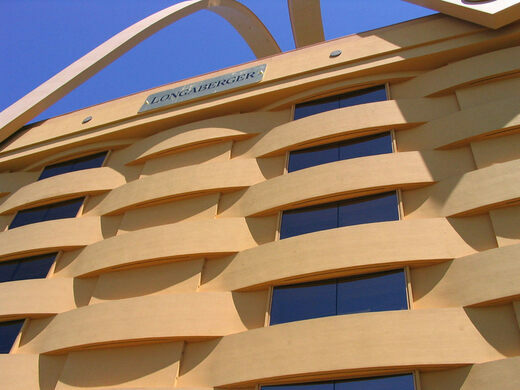 Today, the building resembles the “medium market basket” the company sells, though it is no longer used as Longaberger’s corporate headquarters. Two large handles that are heated in winter to avoid icing are attached to the building with replica copper and wood rivets. Two tags adorn the building, similar to the ones on the real baskets, with each gold-leafed tag measuring 25 feet by seven feet. and weighing 725 pounds. The building is illuminated at night and set amongst a 25-acre landscaped site. After spending three years on the market, the big basket sold in January of 2018 for $1.2 million. Update April 2018: The building is allegedly now slated for demolition. The nearly 200-year-old building displays a perplexing grammatical error. A circle of giant painted vases in the former pottery capital of the U.S.
One of the last few period-correct, hand-operated canal locks in the country. This amateur-built East African church with mismatched towers is an architectural abnormality.